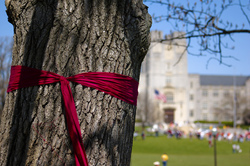 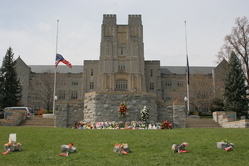 The Burruss memorial continues to grow. 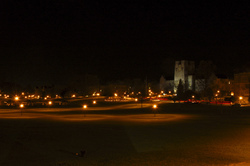 Even at 11 PM on a Friday night, there were many visitors. 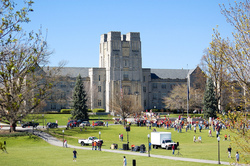 View of the Burruss hall and memorial on the Drillfield. 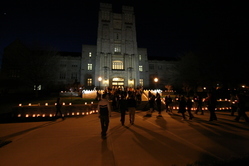 Burruss hall and intermediate memorial. 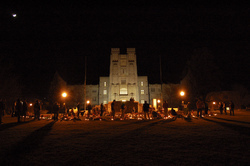 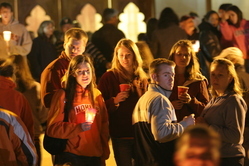 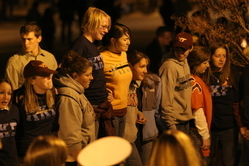 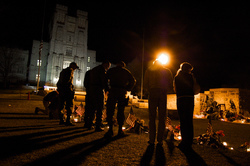 Virginia Tech students on the steps of Burruss Hall following the candlelight vigil. 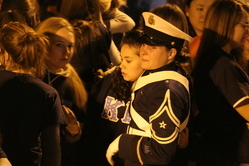 Members of the Kappa Kappa Gamma sorority on the steps of Burruss Hall following the candlelight vigil. 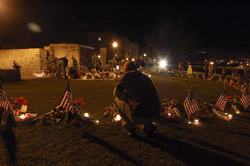 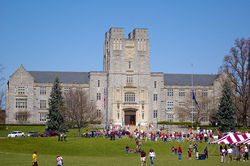 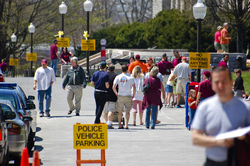 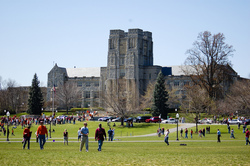 View of Burruss Hall and memorial items, including victims&#39; hokie stones. 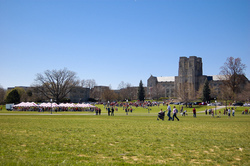 Photo taken April 18.